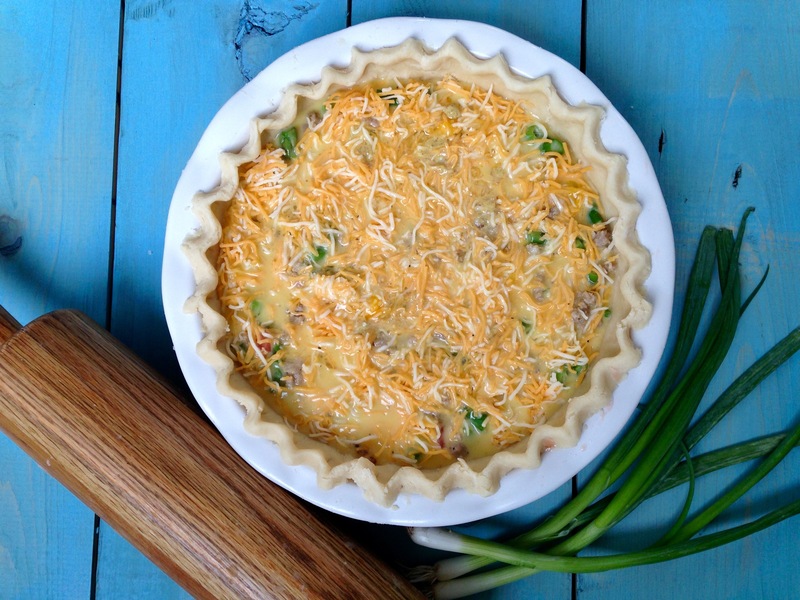 This quiche is hearty enough to serve for dinner. And since I love breakfast, I did just that! 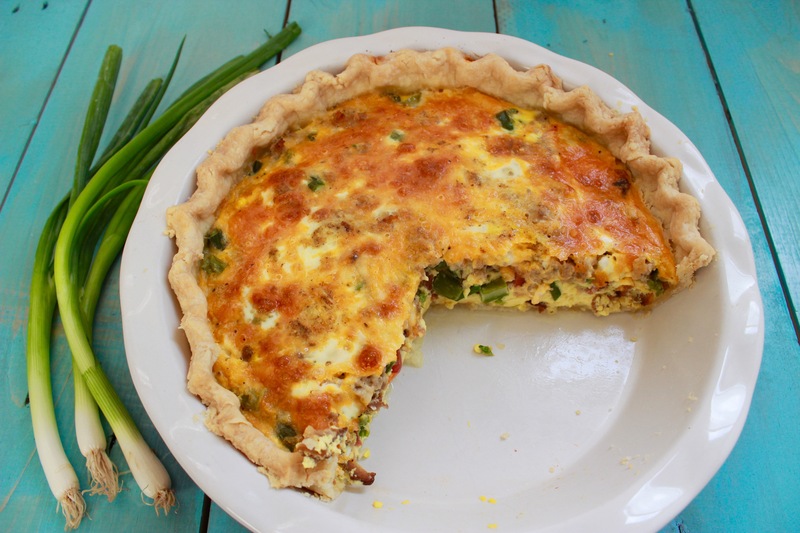 Pair this with a refreshing fruit smoothie and you’ve got a satisfying meal. Slice and chop vegetables. Roll prepared pie crust, press into plate, and finish edges. 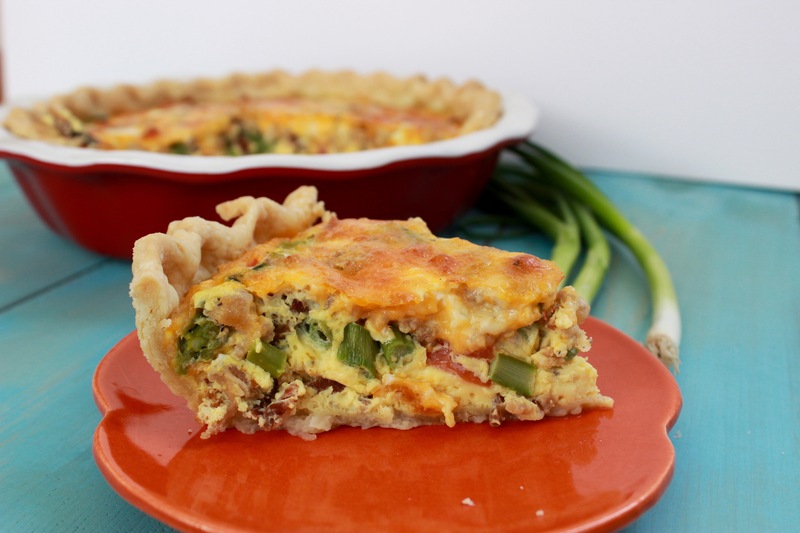 Place vegetables and meat in pie, cover with cheese. Pour egg mixture over all. Bake. In medium mixing bowl, combine flour and salt. Add butter and crumble into coarse crumbs. Slowly add ice water, mix until just combined and dough forms ball. On lightly floured surface, roll dough into circle. Place in greased pie plate and cut of excess dough around edges. Crinkle edges. In small saucepan, bring 1 cup water to boil. Add asparagus. Cook for 1 minute. Drain and cool. Prepare remaining ingredients. 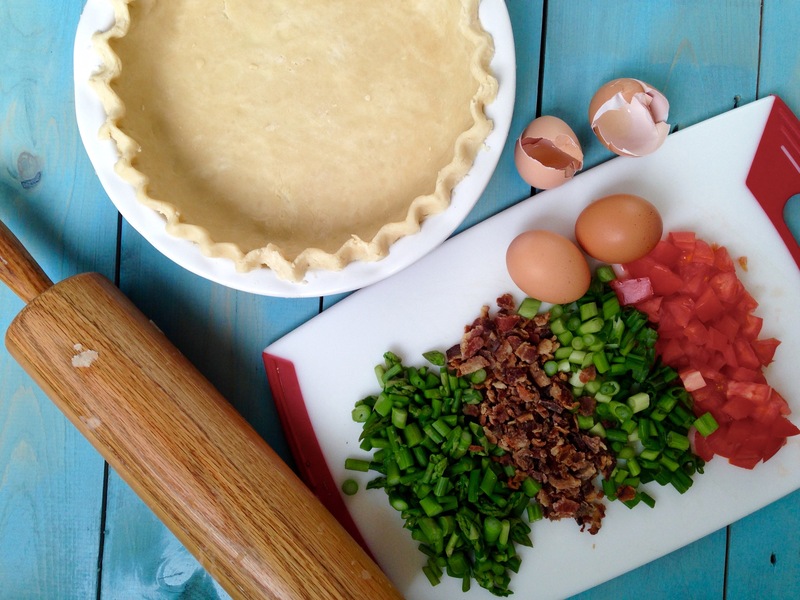 Fill pie dough with filling ingredients. In small mixing bowl, whip all ingredients together. Pour over filling ingredients. Bake at 350 for 45-55 minutes. Let set 5 minutes before slicing and serving. Enjoy!